PHASE 1: What We Need From You! Complete the Client Information Form and we’ll send you our E-Design questionnaire to fill out. 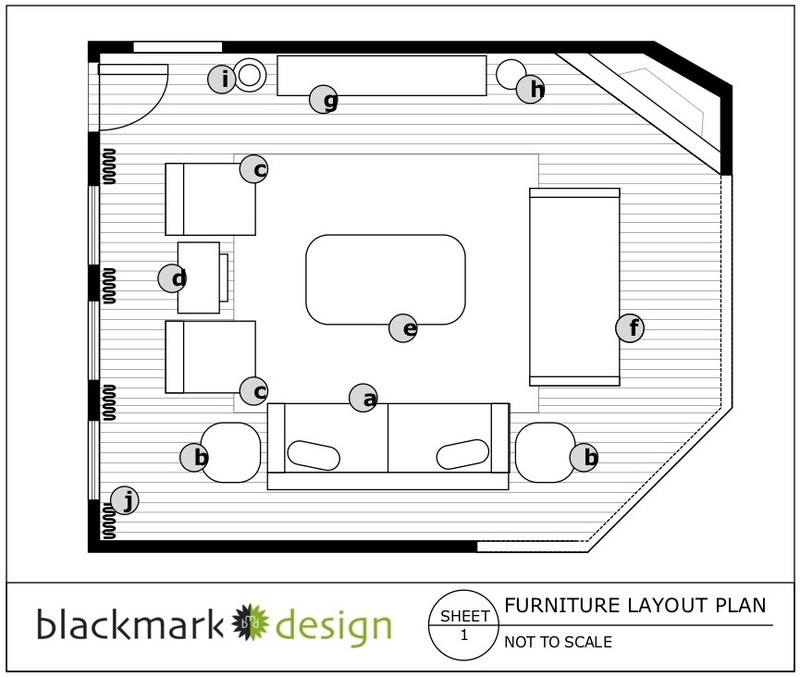 Take photographs of your room and existing furniture, and draw and measure your room. Send these to us via email or upload to your Pinterest or Houzz profile and send in the link. Pay for our E-Design Services. We accept Paypal payments and you can also mail in a check. PHASE 2: WHAT YOU’LL GET FROM US! A Floor Plan that is both beautifully laid out and functional. 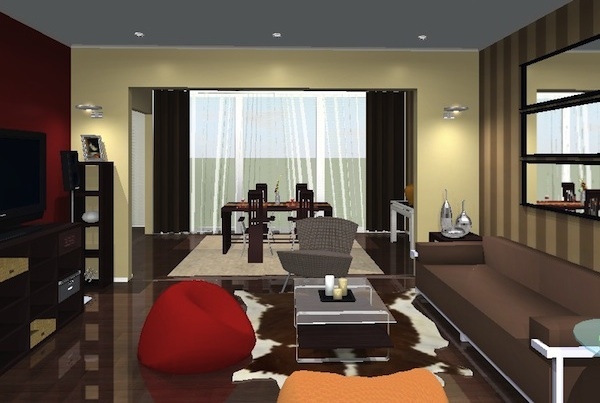 2 3D Rendered views of the design for the room. A Paint Color Scheme with paint swatches that coordinate with the rest of the design. 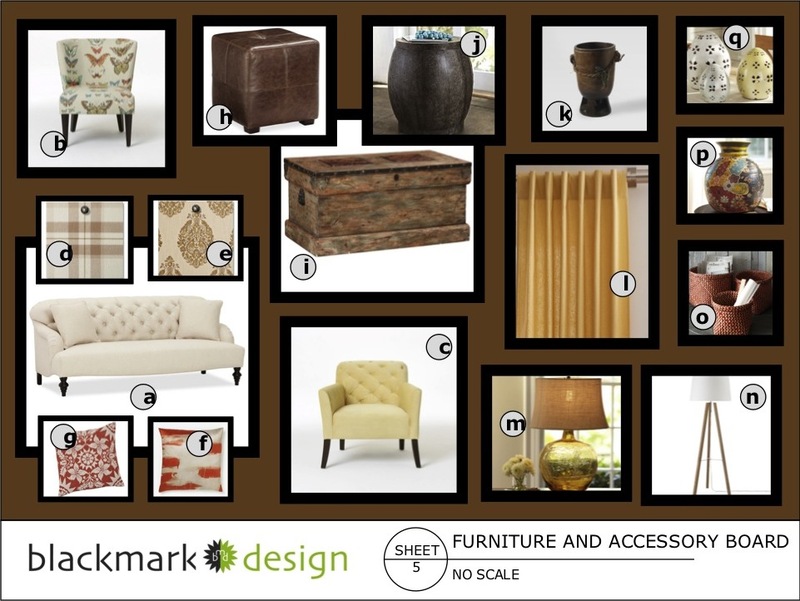 A Mood Board with all the furniture, fabrics and accessories and what stores to buy them from. A step by step guide on how to go about executing the design. Your design package includes everything you need to completely style your home. We can also make some minor modifications to the design after you receive your design package. We’ll be here every step of the way to guide you through executing the design. We offer unlimited support for upto 40 days after you receive your design package. Our E-design Services are charged on a room by room basis. See pricing breakdown below. $1,400 per room: Living Room, Family Room, Master Bedroom, and Kitchen. $1,000 per room: Dining Room, Guest Bedroom, Child’s Room, and Study/Home Office. $400 per room: Bathroom, Entry Hall/Foyer. *BlackMark Design typically sources furnishings, lighting, artwork and accessories from public retailers for E-Design projects. However, trade only source options can be offered at a discount off retail. Copyright © 2019 BlackMark Design. All Rights Reserved.